At the rink and see young hockey players using a blue puck instead of a heavier black one? Your eyes aren’t fooling you. It’s all about introducing players to hockey under an age-appropriate setting and rules. 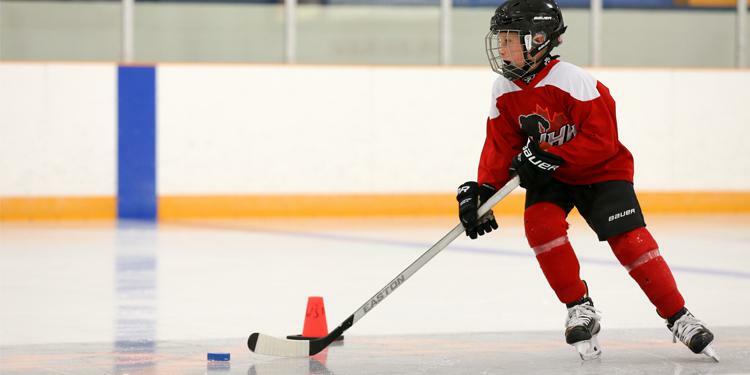 More than just a different colour, the OMHA uses the lightweight Blue Hockey Puck for all hockey programs for players participating in the Tyke and Initiation age groups in order to allow these younger players to develop proper technique in passing, shooting and stickhandling. The Blue Puck is ideal for younger players to improve their coordination, quickness and speed. The Lightweight Blue Puck was created for entry-level hockey players. 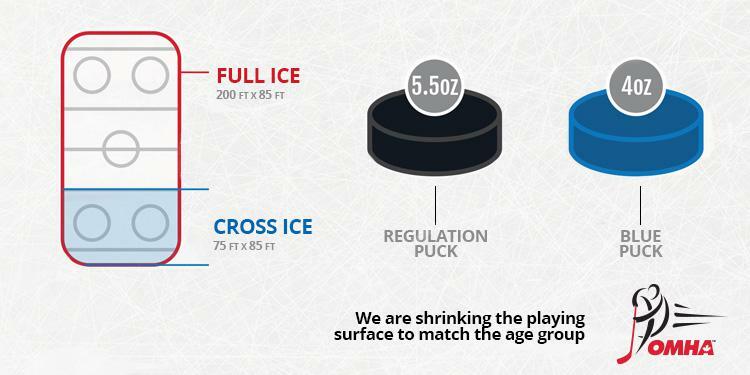 The dimensions are the same as regular puck, the difference being the weight and colour. A regular puck is black and weighs 6 oz., whereas a Lightweight puck is blue and weighs 4 oz. The colour indicates the lightweight classification, which conforms to Rule 26 of Hockey Canada’s Official Playing Rules and is mandatory for all programming Tyke and below. Why use a Blue Puck? 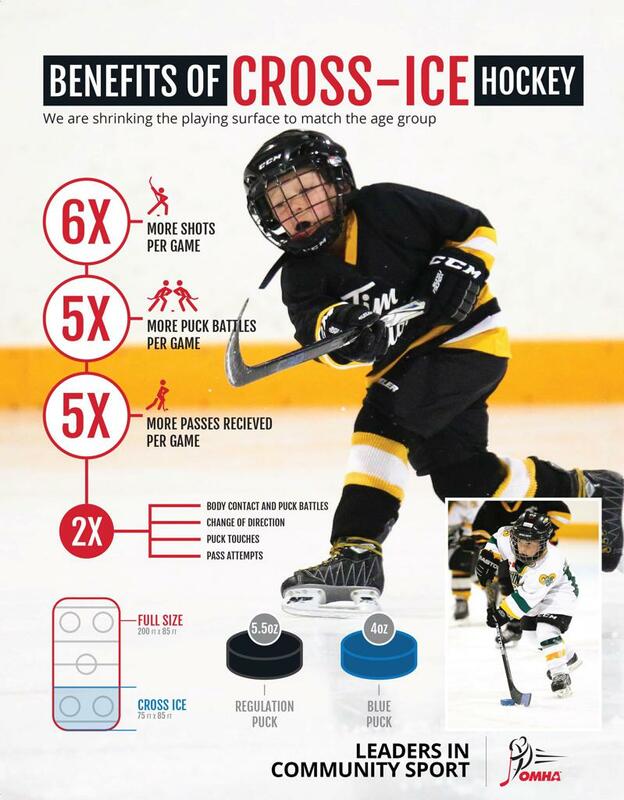 The use of age-appropriate equipment and modified playing environment, such as Cross-Ice games, are consistent with others sports and is reinforced through Hockey Canada’s Long Term Player Development model. 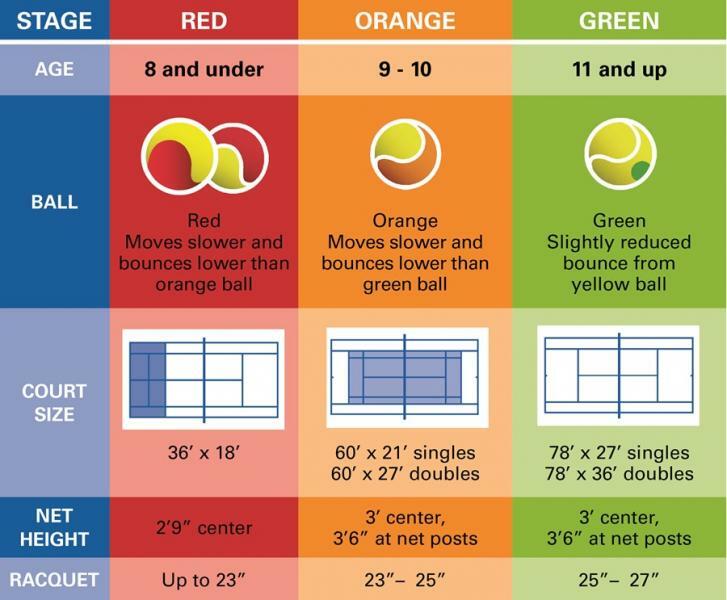 In tennis, players use modified racquets, balls, nets and court sizes to ensure immediate success and develop skills faster, with an easier transition to full court. Soccer players are introduced to the sport with smaller fields, nets and less of a rules emphasis so everyone can participate, have fun and learn sportsmanship. Rugby Canada focuses on the growth of core movement skills before sport-specific skills are introduced as kids grow older. As players become more comfortable with equipment and playing surfaces that are appropriately sized for them, it will be easier for them to understand and perform the basic hockey skills and be confident in doing so. Tennis uses age-appropriate sizing for its younger players. At younger ages, teaching proper technique in passing, stickhandling and shooting through the use of age-appropriate equipment is critical to skill development. The Blue Puck is easier to shoot, pass and stickhandle for players in the earlier stages of physical development. Along with the correct stick, this allows the younger, less physically mature player to build confidence and learn the proper technique of passing, shooting and stickhandling in an environment that’s about having fun, not the final score. This increased stickhandling ability also grows a player's creativity on the ice while promoting puck control as well. Using a heavier black puck with the idea of building strength for players should not be the focus for players of this age. Patiently developing puck skills, like being able to lift it in the air, can be done with a blue puck which in turn, again, builds confidence and the proper techniques in young players. It's not healthy for a young player to develop bad habits with the black puck when they are trying to compensate for how heavy it is. Younger players can experience more success with the lighter puck. Success leads to more confidence and fun! Confidence and fun result in more passion for the game! Share your tips, experiences and thoughts on minor hockey with thousands of other OMHA members!